There are unimaginable differences between the life of a travelling musician and the vast bulk of us residing in a comparatively static world. This concept has no doubt been the topic and inspiration for many an artist over the years and 2016 is the turn of Amelia White to convey her feelings via the medium of music and song. 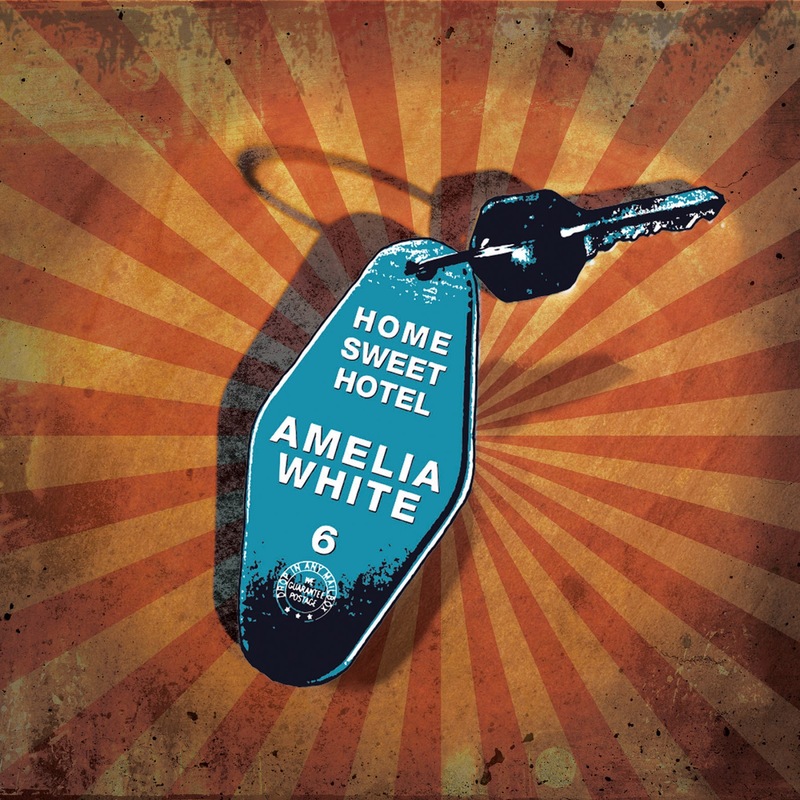 HOME SWEET HOTEL is the figurative title of her latest album and compactly casts an inward glance at life on the road with more than one eye in the direction of the opportunity cost of what’s left behind. Ten original songs appear on this new record courtesy of Amelia and her team of writers, providing the focus for her equally adept ensemble of players to construct a soundtrack to complement. What materialises is an enlightening listen where Amelia successfully gets over her message with sustained swagger. Previous comparisons with leading American female rock singers have been forthcoming in past press for Amelia and no doubt associations will continue to fly around. Not to be outdone here, envisage Lucinda Williams on a bright day and Amelia edges in that direction. A dark and moody undercurrent structures this album without covering it with melancholy. Instrumentally, the guitar rules in a light rock style which has become a signature sound for Americana music distancing itself from the mainstream. This record is fighting in a crowded market, but packs a sufficient punch to find a niche. Running at just over half an hour, the album won’t keep you for too long. However long enough to grasp the emotion in Amelia’ voice, the royalty in the musical package and the feelings in her lyrics. 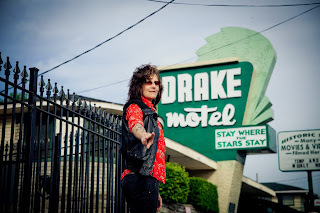 ‘Home Sweet Hotel’ trebles up as the album’s title track, stand-out song and heartbeat of the record. Conjuring up the sensibility of making a living in a transient way also appears in ‘Leaving is in My Blood’, which highlights Amelia’s skill in honing in on such meaningful song titles. Completing a trio of songs which glide to the ground first after spinning this album a few times is ‘Rainbow Over East-Side’. Referring to the area of Nashville where Amelia has found a community to support her art, this residing place has been the finishing line which began in Boston before heading to Tennessee via Seattle. With such quality music and inspiring song writing flowing out of this community, it seems an obvious match for someone as independently fired up as Amelia. Once you tune into the cool rock groove of this record, the consistency will lock you in. ‘Dogs Bark’ does appear a touch experimental and the fiddle plays a significant part on ‘Road Not Taken’. If anything the musical soul of the album exists in the penultimate track ‘Right Back into My Arms’ when the guitars take control. Maybe after all the pondering about life as a travelling music it’s the lyrical sentiment of this track and the semi-tender ‘Melissa’ which meanders you deep into the psyche of Amelia White. Just as OLD POSTCARD impressed in 2014, HOME SWEET HOTEL possesses that inner quality to succeed in making a significant mark. The good news is that Amelia is coming to the UK this summer and folks will get the chance to understand her music better in a live setting. 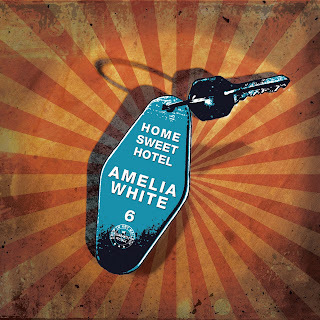 As an artist with an impassioned approach to her writing, Amelia White will continue to gather praise and fulfil the insatiability of those seeking enhanced musicianship aligned with a strong lyrical presence.